Müller (46), previously Area Director Western Europe at Porsche AG, will take over as Managing Director of the Porsche Central and Eastern Europe subsidiary, which is based in Prague, Czech Republic, as of October 1, 2018. Michael Müller succeeds Marcus Eckermann (50) in this role, with the latter having become the new Managing Director of Porsche Cars Great Britain in July 2018. “I’m delighted that we can assign the responsibility for Central and Eastern Europe and thereby a heterogenous market environment to an experienced sales manager in the form of Michael Müller”, says Detlev von Platen, Member of the Executive Board responsible for Sales and Marketing at Porsche AG. The largest individual markets in the sales region, which comprises 26 countries, are Poland and Turkey. 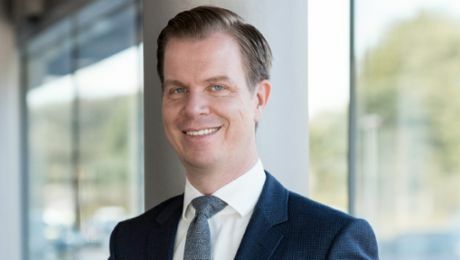 Between 2006 and 2014, Michael Müller held roles at Porsche including Director Customer Centre; New Car Delivery and Customer Consultation as well as Regional Director Emerging Markets and Overseas; Middle East and Africa; Latin America. From 2014 to 2017 he was Executive Director Porsche and VW at Volkswagen Group Saudi Arabia. As the head of the Western Europe sales region, he returned to Porsche headquarters in Zuffenhausen. Alexander Pollich will become the new Managing Director of the German sales organisation. Change at the top of the Taiwanese market: Mathias Busse (43) will become the new CEO. Meurer succeeds Marc Ouayoun, who took over the leadership of Porsche Cars Canada at the start of the year.